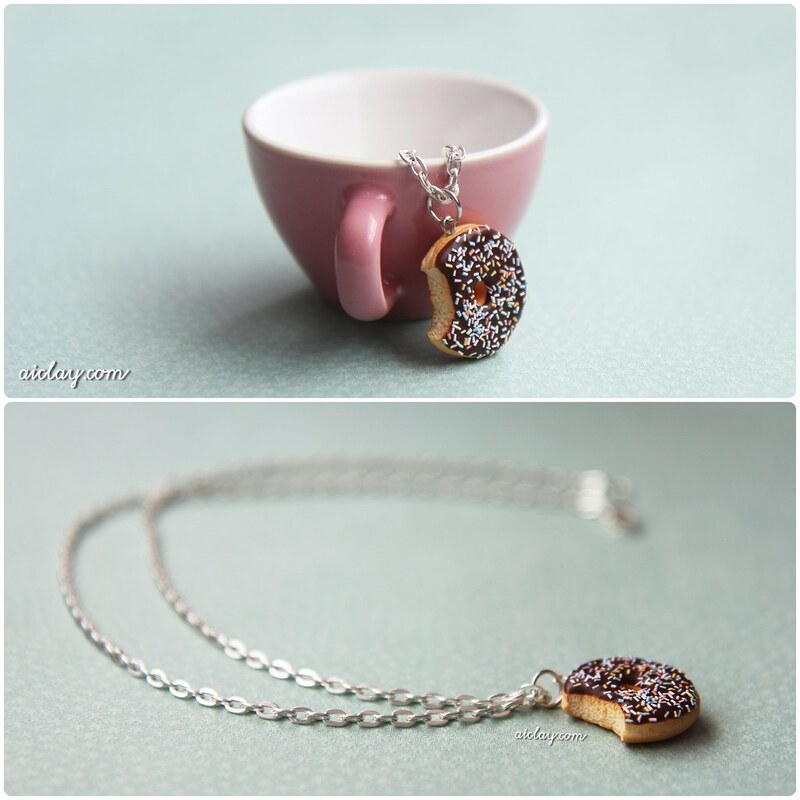 AiClay - a Haven of Miniature Food: Was it you who bit into my donut? Was it you who bit into my donut? 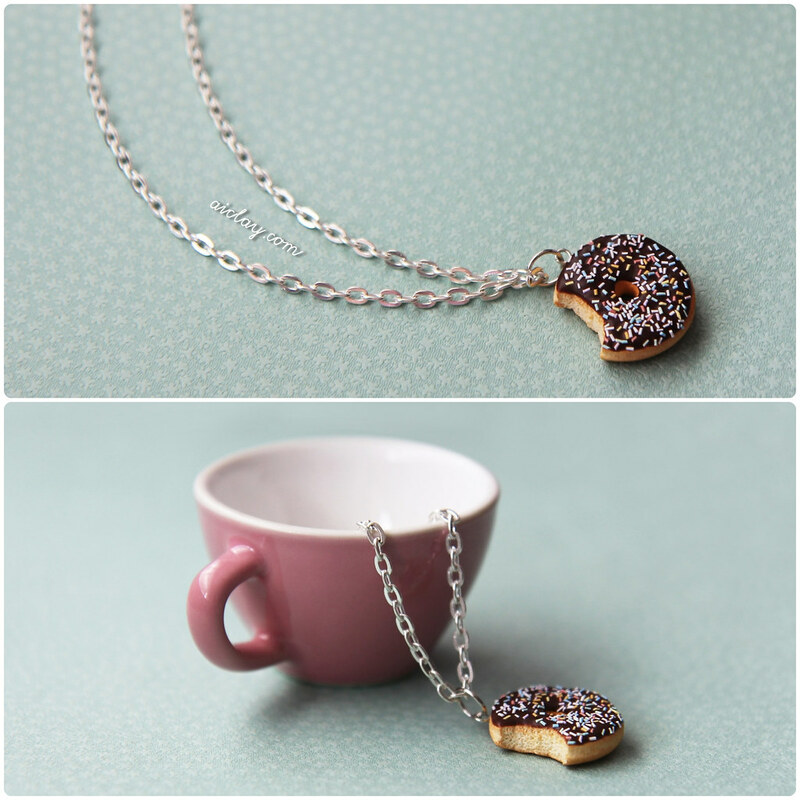 Miniature donut pendant handsculpted by me. Smeared a layer of chocolate frosting and topped it off with a generous sprinkling of rainbow rice. 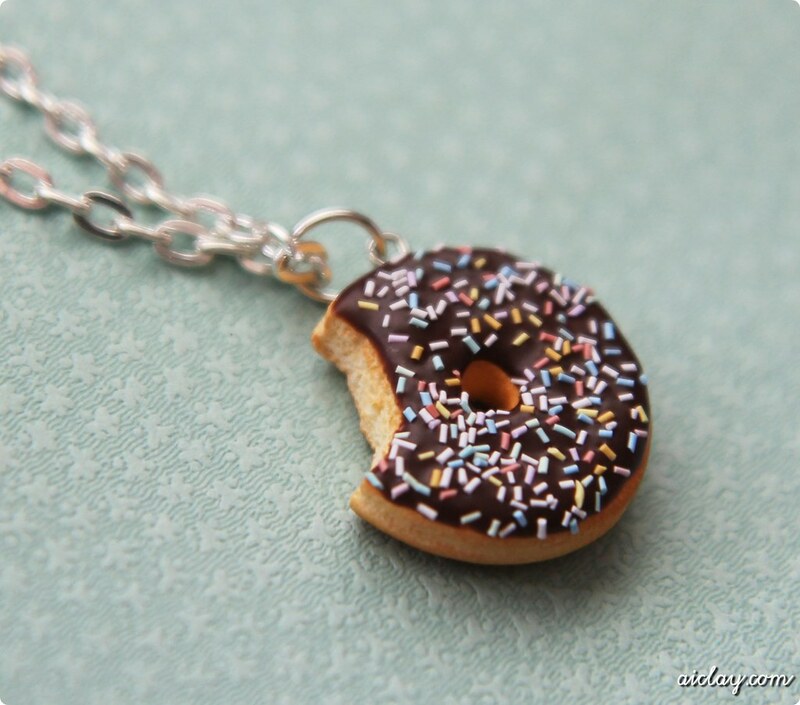 I really want a donut now! And apparently someone bit into it. HMMM. I'm off to bed to dream about Krispy Kremes and sugar-coated donuts. Pray I don't eat my pillow.